According to some of his critics, Lincoln was not a spiritual man. 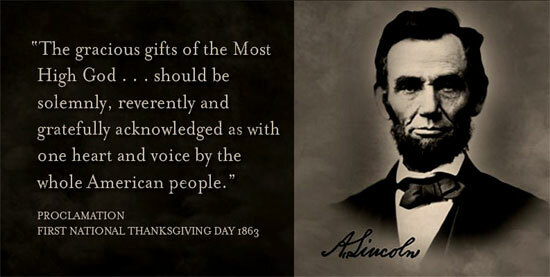 It would be hard to imagine that was true judging by the words in his First Thanksgiving proclamation of 1863. We can all be thankful that we are Americans living in a nation brought into existence for a special purpose and we have a sacred and awesome responsibility to defend and keep our “hallowed” Christian traditions. 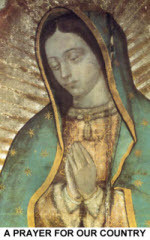 For the bounty we are about to eat, we thank you through Christ Our Lord. Amen. A blessed and joyous Thanksgiving Day to you and your family!